The University of Bahrain decided to revoke the decision to expel 160 first year students who did not meet the minimum Grade Point Average of 1. The decision follows an appeal by the students, but the Academic Programmes and Graduate Studies VP stated that “This is the first and last time the expelled students will be given a chance to re-register”. Today, the world of education has become quite confusing and well, borderline intimidating, when it comes to selection criteria and reliability, future growth or career prospects and overall sustenance. Let us explain further, as it now stands, most higher education institutions want only the best of the best candidates to register with them in order to keep their successions (pass rates) high and attain recognition for the students’ achievements post-graduation. It is true that the institution contributes heavily to the growth, competence and development of the student. At the end of the day, it is the student who chooses to pass with a GPA of a 4.0 and aim for being the valedictorian. Isn’t it? This selection process is daunting for parents more than for the students and it could be ascertained as unfair or discriminatory practices. The flip side is that parents who pay higher fees expect a higher caliber of teaching staff and educators, this automatically translates into more personalized approaches to learning with the students. All these plus points are great for those who can afford the same, but all these plus points are critical and vital for those who have the capabilities but never had the opportunities to study. There are always exceptions to the rule! Students who earn a GPA of 1 may have been in dire situations or may not have had the time to dedicate to prepping for the assessments. There are any number of reasons for these results. 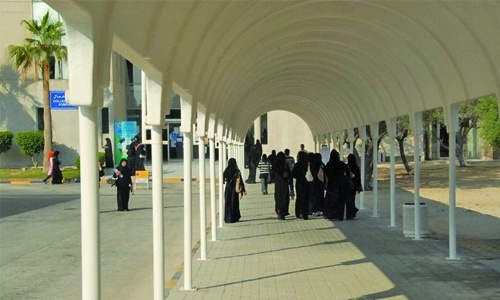 It is commendable that a reputed institution such as the University of Bahrain, is granting these students an opportunity to pursue a graduate degree. The students are not given the opportunity it is up to them to take advantage of this and ride the roller coaster of an undergraduate qualification programme.